First it was me standing in my living room singing the songs to my reflection in the glass of the picture hanging on the wall. It was me in the car waiting to come in on the chorus and it was me writing down the lyrics by hand in a notebook Eric gave me the last time I was in St. Louis. The notebook became my field guide for the tour. Then it was me on the airport curb keeping watch for a white Nissan Altima. Hellos, throwing the stuff in the car and driving up the windy hill country highway to get us to Blue Rock Artist Ranch. The most beautiful artist oasis I've ever seen in my life complete with library, pool, a porch to die for, soft pillows, great coffee, COOKIES, oh and did I mention a small army of super talented, super cool souls who excel at making music, being hospitable, and pretty much taking life and art to eleven? That's what it was. After the coffee and the talking, the crew started getting set up for the show. The microphones, the wedges, the cameras, the sound board, the room, the desserts, the control room, the studio. Joel Guzman came in to play accordion and keys, Darryl and I rehearsed in the library, we went over the set list, I had to figure out what to wear. "Still the Birds" is a great album. It holds up real well. 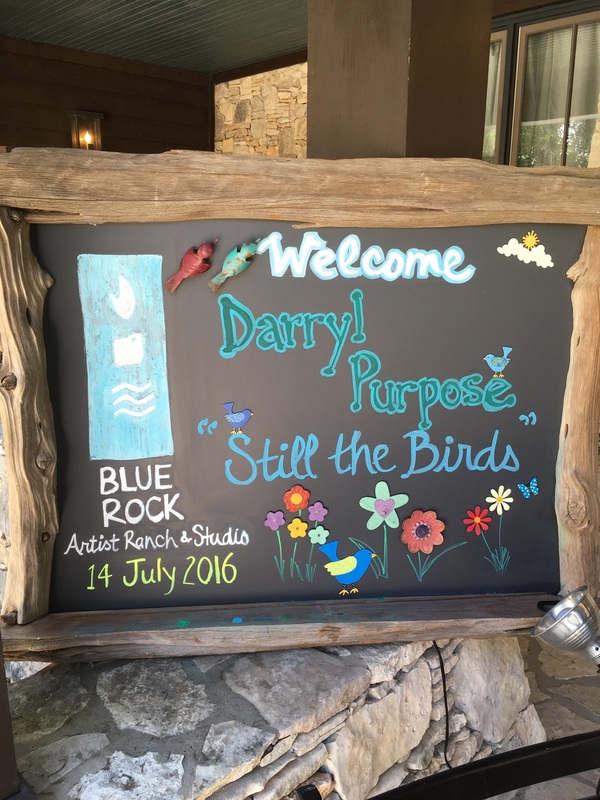 It was recorded at Blue Rock as was Darryl's previous album, "Next Time Around." The production is so perfect because it aims to bring out the artistry that's inherent in the work. I love it whenever someone's serving the song and that's exactly what they did. Singing the songs live drove that point home. Darryl's voice is so beautiful and warm that the ear just wants to hear more of it. It's so fun to sing with him and that's what the Texas tour was all about. Even so, Darryl was kind enough to let me sing some of my own songs from the stage each night. That's the coolest. He did not have to do that, but he chose to hand it over to me during his CD release shows and I'll never forget it. 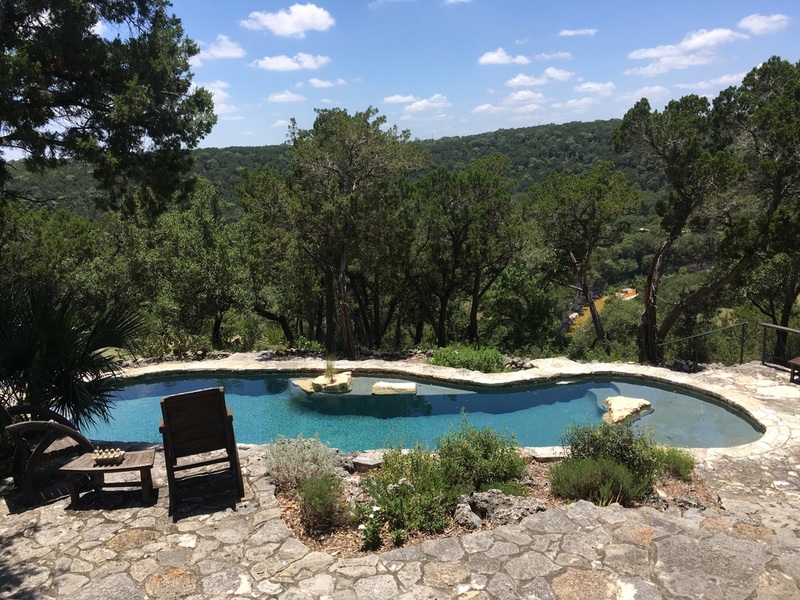 The Blue Rock Artist Ranch in Wemberley, Uncle Calvin's in Dallas, Dosey Doe Big Barn in Woodlands. We played Thursday, Friday and Saturday. Each show was all its own and each show was colored just right for the evening. I think we got real good by the third show too. We were pretty good to begin with. The tour was seeing Heather Miller at Blue Rock and Bill Nash at Uncle Calvin's, making new friends, driving, thinking about songs, thinking about my own goals, looking for the Starbucks, finding the Starbucks, telling stories, meeting Darryl's friends at Dosey Doe, and trying to remember to write it all down so I don't forget. I came home yesterday and it wasn't at an unholy hour. It wasn't 6am, it wasn't midnight. I strolled through the door at a reasonable 2pm to find my youngest son in the living room, my middle son in the basement, my oldest still working in the corn alongside all the other 8th graders and freshmen while my husband was out making a hospital visit (I think. The boys were unclear where Dad was exactly). I set my stuff down, changed my clothes and promptly walked my youngest son to the pool. As we walked down the road, we met Sammy with a fellow detassler who needed a ride home so the three of us got in the car and drove out to the country. I felt real good about that homecoming. I love home. I love going out and playing shows. I look forward to more. To welcome the guests before the show. Getting ready at Dosey Doe Big Barn. The best view ever. I sat looking out, playing songs and thinking about songs. And then I took a swim. Neve console at Blue Rock. I sat and watched a little overdub session. Finding friends on the road is the best. With Heather Miller.